The last few months I've been on a serious spending ban. I mean serious. And it's given me a bit of perspective when it comes to my buying habits. That and Sundays filled with Blue Planet II have got me thinking hard about the difference between buying what I want and what I need. Now I should precursor this by saying, I'm not trying to make myself out to be the most environmental person in the world, but I try to do my bit. And one of the things that I've become most conscious of since trying to save is buying clothes. You know the kind I'm talking about... mass-produced, hundreds on the shelf, made cheaply in a developing country by people who are being paid a fraction of a living wage. Yet, so many of us still go back for more! Maybe it's because I've been spending so much time scrimping but in all honesty, I'm sick of hearing about Black Friday. Really it's just Friday, right? I'm sure there's some great bargains to be had, but this year in an effort to save a bit of cash why not explore alternative gift options? Why not consider handmade gifts for that personal touch? Or when you're looking for pieces, buy the gifts with the best human stories? You could even try a gift that's been recycled or repurposed! Whichever you choose, just remember there's loads of ways to make your loved ones feel special without going crazy in the sales. 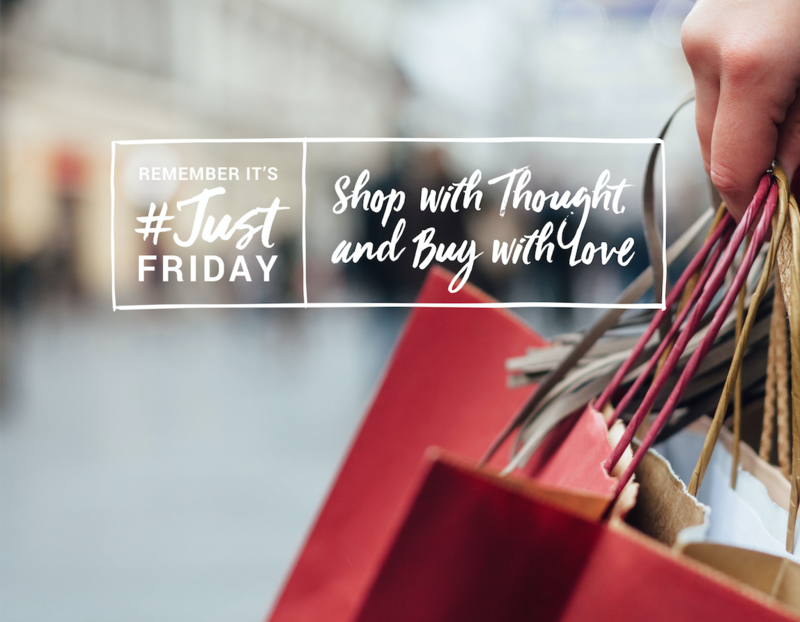 Remember, it's #JustFriday after all!